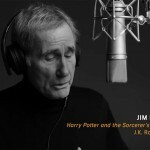 Urban Stages’ Board of Directors announced that the award-winning Jim Dale will receive the 2017 Lifetime Achievement Award at their 2018 Gala Benefit celebrating the “Magic of Theater.” Actor Simon Jones will present the award at the Boathouse in Central Park on Monday, May 14. Broadway World broke down the renowned entertainer’s impressive résumé, noting …read more! Obvious to anyone who takes a look at 2017 in the rearview mirror is the fact that Harry Potter and his world continue to remain alive and well today, twenty years after J.K. Rowling first put his story down on paper. 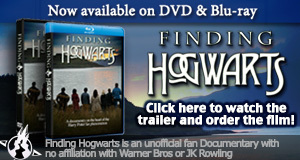 His devoted followers assumed they were parting company with the boy wizard when the …read more! 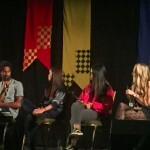 The latest episode of PotterCast covers the Dumbledore’s Army Panel at LeakyCon 2017, with Evanna Lynch (Luna Lovegood), Katie Leung (Cho Chang), Alfie Enoch (Dean Thomas), and Afshan Azad (Padma Patil). The cast shared some brilliant stories and reflections from their time on Potter, as well as updates on their latest projects – it’s definitely a …read more! 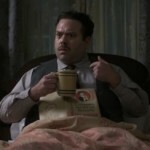 Exclusives, Fantastic Beasts Movie, Films, Fogler, Interviews, Leaky, LeakyCon, Lumos, News, Sudol, Warner Bros.
Last month, Dan Fogler took part in a Q&A panel at LeakyCon 2017 in Dublin to talk about Fantastic Beasts, and certainly did not disappoint! Between telling us that he’ll be rocking his moustache for the next few years (‘I’ve become a real moustache connoisseur’) and inviting Q&A host Josh Wittge to do a podcast with him, Dan …read more! Tomorrow marks the first day of LeakyCon 2017 at the Citywest Hotel in Dublin, Ireland. Registration opens at 3pm, and the Opening Ceremony kicks off at 5pm, followed by ‘The Cursed Child Script Talk’ and night one of Wizard Rock, so a pretty exciting first day! The weekend following (until 3rd September) will involve over …read more! Emma Watson Awarded at Teen Choice Awards 2017! The 2017 Teen Choice Awards took place on Sunday night in LA, and after 63 million Twitter votes, teen icons from the film, music, TV, sports, fashion, comedy and internet were honoured as Choice artists of the year. Emma Watson had her talents as an actress rewarded at the event, winning four awards total, not including …read more! 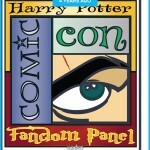 A ‘Fantastic’ Surprise For LeakyCon 2017! LeakyCon is set to kick off in just under three weeks, and special guest announcements are still being made, with the latest being Fantastic Beasts star Dan Fogler! Dan recently attended London Film and Comic Con, greeting fans at the Heavy Metal comic stand. He’s been busy filming on the next Fantastic Beasts movie, so he’ll presumably be taking a trip …read more! 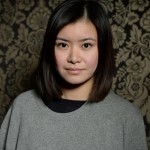 Katie Leung, the Scottish film and stage actress best known to Potter fans as Harry’s first love interest Cho Chang, celebrates her 30th birthday today. 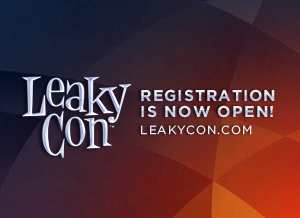 As reported here by Leaky, Leung will also be a special guest at this year’s LeakyCon in Dublin, Ireland Aug 31-September 3 along with fellow Potter alumni Evanna Lynch who …read more! San Diego Comic Con 2017 has come to a close, and all five days passed in a flurry of excitement and activity! Potter fans were able to follow many of their favorite Harry Potter and Fantastic Beasts alums throughout the convention as they participated in panels to promote upcoming projects. David Tennant attended for Duck Tales …read more! LeakyCon 2017 is fast approaching, and before we know it we’ll be in Dublin watching Harry and The Potters, Potter Puppet Pals, Team Starkid and many more do their thing onstage! We’re bringing you a detailed summary of what we know so far and what to expect at the convention: Special guest appearances include (with more to …read more!